Korean site ETNews.com is reporting [Google translation] that Apple will be discontinuing production of the iPhone 5 in the fall, instead putting all of its efforts towards the iPhone 5S and the rumored entry-level plastic iPhone. Apple has been presumed to be discontinuing the iPhone 4 and 4S in order to make way for an all-Lightning iPhone lineup, allowing Apple to standardize around its latest connection standard and phase out the older 30-pin connector standard with the possible exception of the iPod classic, which has not been updated in a number of years. The fate of the current iPhone 5 has, however, not been the subject of much discussion as it has remained unclear whether the new lineup of iPhone 5S and plastic iPhone would leave room for Apple to continue offering an iPhone 5 model. Today's report claims that the in-cell technology used on the iPhone 5’s touchscreen is "not suitable for low-volume production", contributing to Apple's decision to stop production on the phone and focus all of its efforts toward producing parts for newer products. The iPhone 5 and 5S are, however, expected to share nearly identical display technology although leaked photos have a shown a change to the orientation of the flex cable connectors on the display assemblies. The iPhone 5S is reportedly scheduled to begin production later this month, with both that device and the lower cost iPhone rumored for launch in the September-October timeframe. If Apple can bring a plastic iPhone5-like device to market for less money than it costs to make an iPhone4S - this is a huge win. The product will sell more, and have higher margins. It tells consumers that high-end devices are made of metal. And low-end devices are made of plastic. Make sense to me, otherwise why bother to have a cheap iPhone? I think Apple will have ONLY two models, the flagship, and the low cost iPhone. No more discounting the previous year's model. iPhone 5S ($199), iPhone 5 ($99) & 'Cheaper' iPhone ($0). iPhone 4S & 4 discontinued. Makes sense. Although some will definitely complain. Why not just have the iPhone 5S at $199 and a low cost iPhone for $49 or $29 with a 2 yr contract? 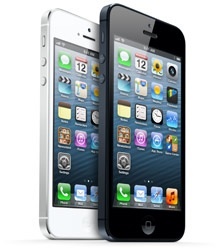 I think there will still be a market for the iPhone 5 for people who don't want to spend $199 on the 5S. I would rather the premium build of the 5 than a plastic iPhone every time. The black of iPhone 5 made of anodized 6000 series aluminum is a complete failure. It scratches at the moment you take it from the box. Sure iPhone 5 will cease production. Does that mean my iPhone 5 will be worth a lot more? The writing and grammar nerd in me has to wonder whether it's mandatory for all MR writers to use the word "however" at least once in every article. This one scores two, both unnecessary. Yes, and that is exactly why Apple won't be discounting the 5. They really can't afford to offer a product at the level of build quality and low tolerances that the iPhone 5 has, at cheaper and cheaper prices. That kind of precision metal fabrication isn't cheap, nor is it easy to build at that kind of volume. Having Apple sell 20+ million iPhone 5's in 90 days has always been incredibly impressive to me. The kinds of assembly processes they use for it, like the precision matched inlays, has typically been the kinds of things you see in VERY low volume, VERY high priced luxury products. Not a mass manufactured consumer product. Its practically unheard of. The plastic iPhone has always seemed to be a strategic move. As Apple increasingly pushes the boundaries in enclosure fabrication for their high-end, it becomes harder and harder to discount those every year and sustain increasing levels of production. At least without their margins collapsing.